A project restoring the landscape between Manchester and Wigan shows how environmental challenges can only be solved by joining forces, says Dr Joanne Tippett, Lecturer in Spatial Planning at the University of Manchester. I teach the next generation of planners and environmental managers about designing the places we live to be more sustainable and resilient. I am interested in how we imagine a sustainable future, and how we can work together effectively to develop creative new approaches for change. Over the last 20 years I have been involved in many projects with community members, stakeholders and decision-makers to develop ideas for the future, and to learn about how we can do this more effectively and collaboratively. One such initiative is a £3.1m scheme to restore the landscape between Manchester and Wigan. The project, called The Carbon Landscape, looks at the big picture of the landscape, seeking to create a connected ecological network that allows both people and nature to thrive. The project explores how the landscape has been shaped by people’s engagement with industry; this is the story of the modern world, set right where it began with the industrial revolution over 250 years ago. To understand the significance of this story—the role of industry, its global and social impact and its legacy—requires us to take a step back to see an even bigger picture. It requires us to consider how human society fits within the broader context of the Earth’s systems and the biosphere. In the Carbon Landscape we are pioneering use of the RoundView to explore this bigger picture with communities and stakeholders. Emerging from my research into embedding sustainability skills in large organisations, the RoundView framework offers a big-picture, positive vision of sustainability, using innovative hands-on tools to communicate these ideas in an accessible and easily understandable way. Looking at the landscape through the lens of the RoundView reveals insights into the formation of the landscape, as well as how human systems may work together well with ecosystems and ecological cycles. The Carbon Landscape story weaves together the threads to show how we can learn from our past to enhance our heritage while moving towards a sustainable future. The project invites schoolchildren, community members and stakeholders to explore the future of the Carbon Landscape with the RoundView, developing new visions and ideas for the landscape and increasing their capacity for action. It is an engaging and enjoyable process suitable for everyone, all ages, skill levels and interests. It was inspired by two action research projects I ran with Tesco, with over 250 employees across the company, from the shop-floor to senior management, in research funded by the Sustainable Consumption Institute. It explored how we can best develop skills and motivation for moving towards a sustainable future and scale-up this capacity in large organisations. The environmental and social challenges we face cannot be solved unilaterally—we need to work together strategically and communicate more effectively. This requires widespread learning and capacity building for change. Evidence of this increased capacity was found in the early stages of the Carbon Landscape project, with many participants in RoundView workshops reporting an increase in big picture sustainability thinking skills and increased motivation to be involved with the scheme. More generally, this work reflects the idea that making fundamental environmental ideas accessible to a wide range of people, from primary schoolchildren to boardroom executives, whilst helping people develop positive visions for the future, is critical if we are to build a healthy and inclusive society. The aim is to increase not just participants’ capability to act, but also their motivation and enthusiasm for change, together with their ability to communicate effectively with others towards this end. 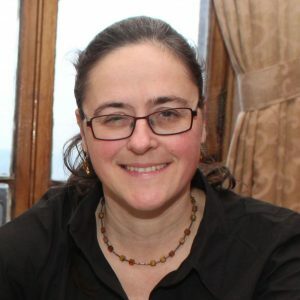 Dr Joanne Tippett is the Founder and Managing Director of Ketso, a social enterprise that is transforming community and organisational creativity worldwide. A lecturer at in the School of Environment, Education and Development at The University of Manchester, she researches and teaches about planning for environmental change, sustainability and community engagement.